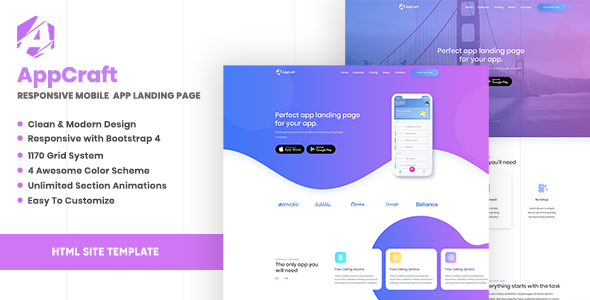 AppCraft is creative and unique mobile app landing page crafted with great attention to details. It is specially designed for your mobile App landing page, services or business projects website. Please note, we do not include content images in the template package. It is used for demo purpose only.